Three years ago today I finally moved out of Intensive Care. After spending fourteen long weeks with tubes here, there and everywhere, and clinging on for dear life, I finally moved onto Burrator Ward. Since then, I have had to relearn everything, from walking and talking to cooking and even just being. It has been a lengthy process with many twists and turns along the road, but I am finally getting there. I realise that I have touched on the recovery process many times before, but to me it is imperative that others understand just how difficult it is to rebuild your life after suffering from a life changing illness, such as encephalitis. This is where, for me, The Encephalitis Society has been key. The Encephalitis Society is an International Charity that goes to great lengths in helping anyone, anywhere that has been affected in anyway by encephalitis; without them I do not know where I would be today. Their support, ranging from long phone calls in times of distress, to organising weekend retreats away for respite, has been essential to my recovery. 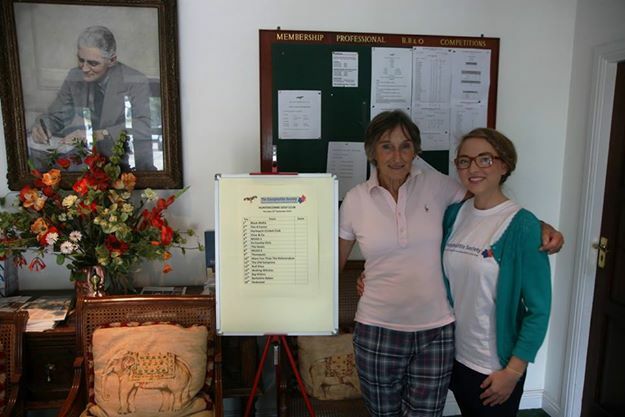 It was with this in mind that my darling Lady Captain Granny decided to have The Encephalitis Society as her chosen Charity for her Charity Golf Day. As anyone who knows my Granny (an exceptionally energetic and determined individual) can imagine, the day was a huge success, raising a vast amount of money for an extremely worthwhile cause. Thanks to the Indian summer that we appear to be having, this September sunshine brought a special start to the Charity Golf Day. The day was filled with golf, laughter and family. My family have been a huge support to me throughout my illness. I was lucky enough to have all three of my English Aunties on my Father’s side at the Charity Day, along with my 6ft7 cousin, back from Australia, that I hadn’t seen for many years. It wouldn’t be a charity day without a raffle though. Unfortunately, the lovely lady helper that had written the names on the tickets had decided to do so in tiny writing that was near on impossible to comprehend. I would call out “Magdaline Applebottom” to then be informed that it was in actual fact “Mary Alesbury”. I had gotten used to having each name re-announced. Then it was time for the second to last ticket. I drew out the ticket and revealed “Tim Henman”, I waited for an impromptu name change, but it never happened, for once I had been right. Not only had I got the name right, but this was none other that THE Tim Henman. Whilst my recovery is still ongoing, I would go as far as to say that I am eighty-percent of the way back to my old-self. 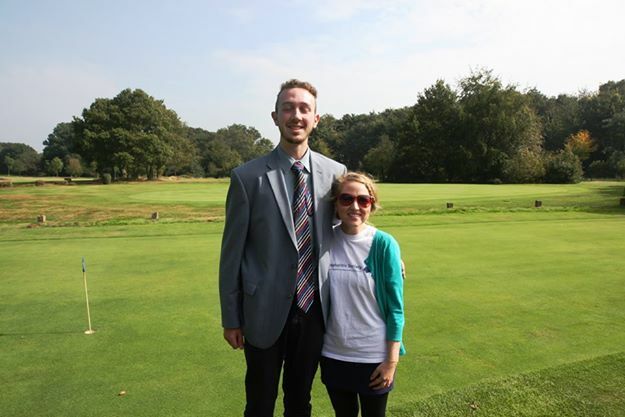 I am not sure if I will ever recover that missing twenty-percent, but I will do everything I possibly can to do so, and with the help and support of my incredible family and The Encephalitis Society, perhaps reaching that one-hundred-percent is a mere golf swing away.